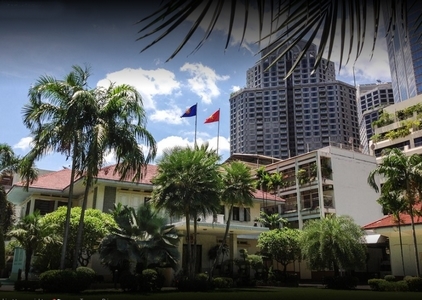 Vietnam Embassy in Thailand functions as a bridge between the Vietnamese Government and its counterpart in Thailand. It is also the place where the travelers can visit to apply for a visa to Vietnam before their departure. Below is the Embassy of Vietnam in Thailand contact details including its address, telephone number and email… Please keep in mind that you could deal with Vietnam Embassy to get a visa directly in 5 working days or let the authorized visa agency like www.visumvietnamonline.com do it for you within 2 working days through the legitimate Vietnam visa on arrival service at much cheaper cost. Once you received the authorized visa approval letter from the Vietnam Immigration Department, we guarantee that you could fly into Vietnam and pick up your visa at arrival airports in Hanoi, Ho Chi Minh City, Da Nang or Nha Trang without any hassle. Afternoon: 13.30 PM -16.30 PM from Monday to Friday (except Vietnamese and Thai public holidays).